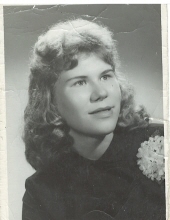 Mrs. Ruth Carolyn Deveney, born March 8, 1942, passed thru heaven’s gates on March 19, 2019. She was preceded in death by her parents, Flora May Leas Morrison and John Edward Morrison. She is survived by her husband Harry Edward Deveney, her sister Nancy Penrod (John), two nieces Deborah Walters and Pamela Kaper and two nephews Kenneth Boggs and Jonathan Boggs and their families. Ruth was a graduate of West York High School Class of 1960. She was a member of the Church of the Open Door. To send flowers or a remembrance gift to the family of Ruth Carolyn Deveney, please visit our Tribute Store. "Email Address" would like to share the life celebration of Ruth Carolyn Deveney. Click on the "link" to go to share a favorite memory or leave a condolence message for the family.